Abbey Lee Inspired blue hair. I love her! You could have seen these photos on my LOOKBOOK page. I got bored with it so I'm doing this blog thing now. I hope you like it by now, and any comment, good or bad would be welcome so I could improve. I'm really liking the pictures of you in Rome, and the very last picture set! I have a soft spot for pretty dresses. Hoost photos! They're too small! Kisses! Ideš, prvi put vidim al sam vec postala obozavatelj! Odlicna si, ides mi na listu omiljenih - samo tako dalje!! Love the Joy Division T shirt and the hipster photo :). Nice blog, good inspiration.We need piece of advice, so check our blog out!! amazing pictures ! thanks for your comment ! you look great with glasses! Your look are so cool! Love them! And you're gorgeous! I like them all! You have a great sense of styling! I'm following! What a great photo collection!! LoVE your style!! If you have a moment, follow back..
Wow- great blog! The pictures are lovely! 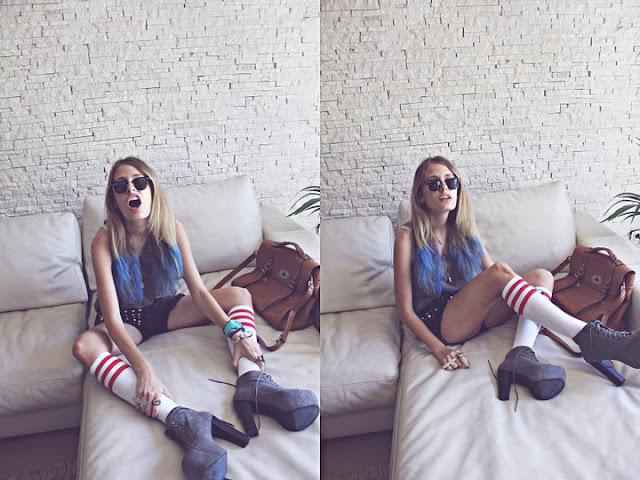 Love your style, very differente and fresh blog love it, of course we could follow each other! I am very glad you liked my blog! Love all your stylings :) do you have a twitter by the way? Cute photos i love youre style dear! ps. did you really start this blog 2 days ago? you are amazing! keep it up! Thanks for your comment. You're nice. Hello you, I love your style! Thanks for your comment on my blog! I have always wanted to visit Croatia. Yeah! Let's follow each other! I like your blog, too. You are a beautiful person and have a great style! These photos are so pretty! I love the first one. you are gorgeous!! these pictures are fantastic, and you have amazing style! what camera do you use? i need a new one and this one is taking such great pics! you have an amazing blog, i am following!! maybe you can follow my blog!? Oh my goodness you are so pretty! I really love the first photo! Wow...but all of your pictures are wonderful! Thank you for visiting my blog! I will be following you now! these pctures are so inpiring!! you look great in all these pictures! i love that first look a lot with the stripes and pearls. i also love all your jeffrey campbell shoes and that awesome mulberry bag!!! I was gonna say that for a newbie blogger that you're really good at the photoshoot thing! So jealous that you have a Birkin!! you are super pretty, nice style! Dear, these pics are stunning! hi dear!! thanks for passing! really nice outfits and photos. crazy fun outfits1 love it! Thank you so much sweetie for your comment! Your blog is amazing and I'll definitely follow you! Love your pictures! You look absolutely amazing and your outfits are gorgeous! Znaš već koja mi je najdraža kombinacija. Ona Joy Division definitivno!!! Wooooooooooooooow))) I like it sooooooooooooo much!!! reat selection of pics. I like every single outfit! are you a model hun!! Gorgeousness! And Im following your blog,its amazing,cant believe you only started this blog up a little while ago,its gorgeous. I love your style,you look stunning in these pics. You are a very pretty model. How exciting! Awesome styleee! I feel I have to follow you ;)! Hi! I love all of your shoes! Also, I've been craving t=for that Mulberry bag. Well, I think you've got great style. Follow me too, okay? Wow, you have such an amazing style! Actually I love all your outfits! hihi. But my favorites: 3, 5, 9, 10 and 11.
your style is incredible! glad you started a blog, i will definitely be back to check out more! wow, thanks for leeting me know about your blog! your style totally rocks! will be following of course. Thanks for stopping by my blog, was happy you liked my pics! So many fantastic looks. Welcome to blogging. You are a natural. I loved your looks! You're very stylish and creative! Have a special day and welcome to the world of blogging! love your looks, i agree, lets follow each other, i already do! That Zara vest is phenom! I am so glad you found my blog because I love your's! youre so so cute u look like a model! I really love all yuour outfits, but the 1st and the last are definitely my fav! Thanks for the comment! Following you! Follow back? love the black and white photo of you and your boyfriend! you have a beautiful blog and I follow you! Hi, thanks for your comment, I like so much your pics. these pictures are insane!!! i love the fourth set from the bottom. dandy black high waist shorts! adore the studs! All of these outfits are fabulous. You have a unique style. Keep it like that and you will have great success!! Thanks for your lovely comment! your blog is also very nice and i like your style! I think thats a wonderfull idea, so i follow you now! Your soo pretty my god! WOW LOOOVE YOUR TOP SHOP OUTFIT!! Love the last pic, I looove that dress! Very cute! Love all of your photos! :) I would love to follow you. Love all the looks above, but my favourite is the one from Rome - I LOVE those green mini-shorts! Super cute :) Thanks for your comment! I'm following you now - I'd love it if you could follow me back! Thank you very much for visiting my blog and for your sweet message! I want to follow you, but I do not see any Google or Bloglovin badge on my screen... If you have Google, I have been facing some problems as well the last 3 days, so I will try again! wow. 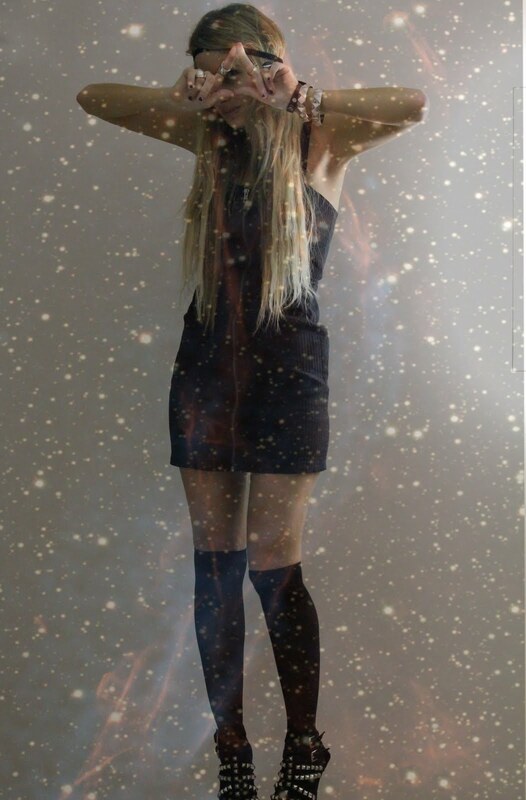 your outfits are just gorgeous and you have a perfect body, btw :> aww of course i will follow you, great blog! Thank you Isabelle! I'm next! I loved their outfits! follow me if you like my blog! Wow, wow, wow, the picture where u wear TopShop top is awesome!!!! Lovbe the colors of picture, love your outfit, love the hairdress!! :D Perfect. amazing photos! i loved the way you styled your lita's! thanks for commenting on my blog! i'd love to follow you. your photos rock! I'm following you through Bloglovin! Love your style! The first and last outfit are my favorites ! Enter this blog is a danger, one can end up with a broken neck in a thousand pieces, the blame will be the amount of beauty in every corner. Enter here and watch your eyes is to be guided by a unique feminine landscape. di se mogu kupiti ovakve najlonke sa 4. slike? Great photos! You are so beautiful that you give the photos like an special touch a think that makes this photos have life. Keep sharing good material like this.